Onestat's market leadership has been demonstrated over the past 6 years as we have helped today's largest online businesses and websites like HP, FuijFilm, Thomas Cook, Cornell University, MIT, Dunlop, TUI, CBS, Fonts.com, Trump, Pandora.com and the Emmy Awards. OneStat has more than 75,000 customers across 100 countries. Oribi provides simple, easy-to-use dashboards with website statistics. Users can track goals and know site activity. 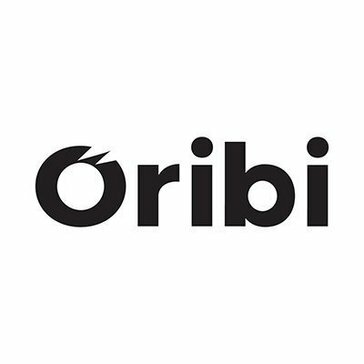 Oribi boasts simplicity for users. Outlier monitors your business data and notifies you when unexpected changes occur. Panamplify offers solutions to automate report building for ad/marketing agencies. pMetrics is a web statistics package that gives bloggers and web site owners a look at traffic and visitor activity. Premonix is easy to integrate into any database or template-driven web concept. This involves a one-time implementationand from then on all your customers can automatically be provided with their own Web Analytics tool. Quill Engage analyzes your Google Analytics data and delivers the most important and interesting insights on your site's KPIs, including sessions, pageviews and bounce rate. Sigview is a real-time data visualisation and analysis tool for high velocity and high volume of data. It builds on top of the philosophy of reactive manifesto, to accomplish robust, resilient and responsive system. Keeping in mind to fit with Big data, it supports 100’s of million data points in variety of charts and tables in a reactive manner without giving any burden on the processing system. Simple Analytics is a simple, clean, and privacy-friendly analytics. SIP3.IO TAPIR is a complete, end-to-end solution capable of analysing customer experience and network performance by application in real-time for the huge volumes of traffic. SmarterStats is a suite of business analytics tools that help a business manage its online presence, to understand the popularity of a website or storefront. Snoobi analytics is a professional web analytics tool. Customer experience analytics company focusing on in-page web analytics and conversion rate optimization. Spinnakr is a new kind of analytics that does all the hard work for you, tripling your signups and sales. SpotIQ is a relational search engine designed for numbers. For every question, it calculates one answer across all of the data. Customer Acquisition Analytics for SaaS. Tractionboard calculates your CAC, and other acquisition metrics, for all your campaigns/sources. We get your spend, revenue and campaign data automatically by using integrations with the major providers. Uprank is a site optimization and digital marketing tool. Install an analytics tool that you’ll actually use! Visitor Analytics is a software that enables users who lack technical background to track, graph and map site visitors in real time. The software is GDPR-compliant and offers a straightforward user experience through statistical dashboards, simple visuals and performance-based comparisons. Visitor Analytics keeps records of website visitors path & history, bounce rate, pages performance, conversion rates, URL campaigns, referrers and other valuable data, depending on the type of account the user chooses to use. The app can be easily integrated as a native solution for multiple platforms and services. VisitorView is a web analytics software that matches the IP addresses of companies that visit your website against our database in order to tell you the names of those businesses and more. now your differences in conversion for each browser and OS, and get alerts whenever your website drops in sales. WAO.io offers web analytics and optimization solutions. Websays is a software services company focused on web search, natural language processing and machine learning. With a mixed team of developers and data analysts, we meet our clients’ needs for data intelligence to handle large volumes of unstructured data. We categorize this data by topics, analyze indicators such as sentiment and generate summaries and reports, all in real time using our control panel, the Websays Dashboard. We provide: - Reputation reports - Digital clipping - Opinion, market and competition reports - Identification of influencers - Election prediction Moreover, with our connectors Zendesk or WordPress we can manage the relationship with the customer and the publication of reports and contents. ZeroPark is a Ad exchange delivering traffic.